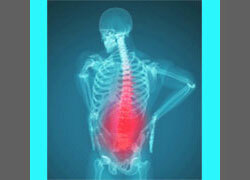 Do you need help with spinal stenosis treatment? Welcome, you are among friends here. 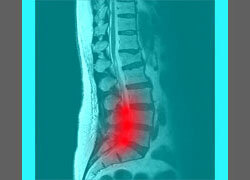 We will teach you everything about central spinal and neuroforaminal stenosis. We detail the causes, symptoms, diagnosis, and treatment of spinal stenosis and have helped tens of thousands of patients to find relief over the past 15 years. Spinal stenosis is a frightening diagnosis, since it can compress the spinal cord and spinal nerves. Stenosis is often associated with chronic pain, disability and paralysis. 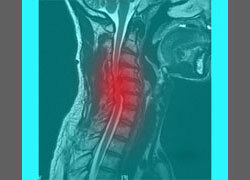 However, spinal canal stenosis is normal to experience as we get older. The vast majority of mild stenosis conditions will not create any significant symptoms, while more severe cases can cause big problems for diagnosed patients. If you are seeking immediate help with severe symptoms, then please accept our invitation to learn more about our Cure Back Pain Forever Program. These tools and techniques are the result of our collective experience in researching, evaluating and treating back pain. 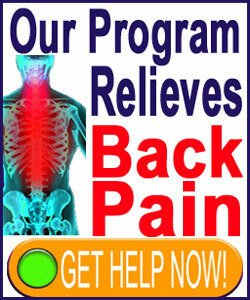 We are proud to offer this program to help you. As a pain coach, researcher, educator and patient advocate in the chronic pain sector, I am well qualified to help you to learn about and relieve spinal stenosis. I am also a former back and neck pain patient who has suffered with chronic pain for much of my life, before finding a complete cure. I am fortunate to be joined here on the editorial board by many of the best caregivers in the world today, from a variety of respected healing arts. Many stenosis patients fall victim to misdiagnosis leading to unnecessary treatment or surgery. This is the exact reason why we created this website. We saw the need to provide objective, evidence-based research to assist patients in navigating the complexities and pitfalls of the spinal stenosis treatment industry. It is our pleasure to help you. The navigation bar contains all the main topics on this website. Each subject is further detailed in a series of focused essays devoted to a particular aspect of central or neuroforaminal stenosis. If you can not find what you are looking for, please utilize the search function or use our site map. This spinal stenosis treatment website is completely free, so please explore and begin learning everything about spinal and neuroforaminal stenosis. You do not have to buy anything in order to benefit from this website. Enjoy the veritable encyclopedia of expert stenosis information and use this knowledge to take an active role in your own healthcare. If you decide to donate, or purchase our products, please know that 100% of the funds raised go directly to help other people just like you through our education and advocacy efforts. Since so many people do not have access to excellent healthcare information or services, this gift is much needed and appreciated by the less fortunate of the world. All of our writing is based on actual patient reports, research citations and clinical evidence, not marketing materials. We never confuse advertising with content and will never endorse anything in exchange for any form of compensation.